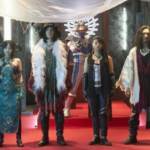 Tokunation › Super Sentai › KyuRanger VS Space Squad Resurrects Multiple Super Sentai Villains! Uchinin Demost from Jiraiya is back. I still wish there were more Metal Hero actors returning. Perhaps there may still be some as yet unseen. Not as great as Amazons. Why? This dude is not in it. Yeah, whenever I do the top whatever lists related to toku I dont list Bioman only to later regret after remembering Silver was what made the show even better. He makes grandpappy Hakaider proud. Wait is that an April Fools joke or are they really in the movie? Though it did say it will be showing on 2099 so I suppose it was a joke. Weird to see Mele without Rio. And Escape without Enter too for that matter. The joke is that they are getting their own movie. 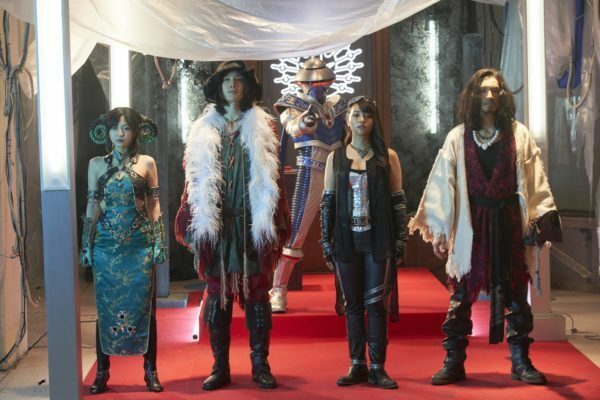 They are supposedly going to be in Kyuranger vs Space Squad. They are in the movie but they just edited the trailer to make it seem that way. Basco's return makes me way more happy than I thought it would.